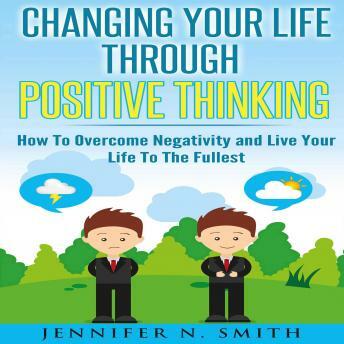 Negative thinking has never been more abundant than it is today's day and age. All of us are so wrapped up in our work and the coils of modern society that sometimes it can become a burden to take care of ourselves. We forget that we are human and that we have a lot of specific needs to attend to right within ourselves. Most of us are so busy taking care of our responsibilities and obligations that we don't have the motivation or even the education to take care of ourselves and practice positive thinking. Positive thinking has been known for centuries to help us in order to cope with the difficulties of life. Humor has been employed for thousands of years during difficult situations so that we are able to better relieve the stress from these problems. What many people don't realize is that our brains and our bodies are completely related, and our mental and emotional state of mind is sometimes purely chemical. We can change our state of mind by changing the way we think and the neural pathways in our brain that are usually connected to negative encircling thoughts. If we interrupt these thoughts, we're going to be able to live a healthier and happier life than we ever dreamed possible.